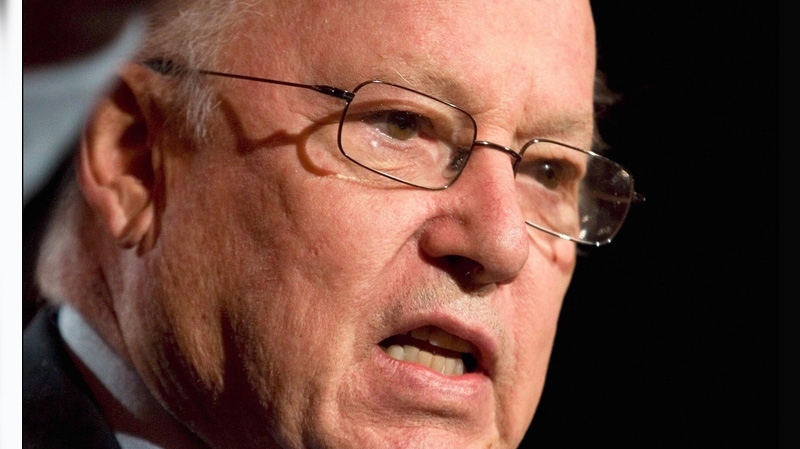 A tireless voice for the dream of Quebec independence, former premier Bernard Landry has died at the age of 81. Landry will be remembered for his four decades of work in public service for the Parti Quebecois – first as a minister, then as party leader and premier. Getting to the top of Quebec’s political class took time for the lawyer from the Lanaudiere town on Saint-Jacques. He ran for the PQ twice in the early 1970s before finally winning a seat in 1976 in the Fabre riding. It was a historic year for the PQ: under Rene Levesque’s leadership, the separatist party won power for the first time, forming a majority government and becoming one step closer to independence from Canada. Landry rose through the ranks of the PQ, occasionally making headlines due to his outspoken nature. After the night of the 1995 referendum, an employee at the Intercontinental Hotel accused him of verbally abusing her because she was a Mexican immigrant. Landry was the province’s immigration minister at the time. In 2001, just two months before becoming premier, Landry sparked another controversy. Ottawa placed conditions on a federal grant to renovate the Quebec City Zoo and Aquarium – including flying the Canadian flag on site. Landry lashed out at a press conference. The backlash was immediate, forcing Landry to apologize – though he insisted the English media misinterpreted the comment because of a translation issue. Twenty-five years after Levesque’s win for the PQ, Landry led the way when he took office in 2001 as the 28th premier of Quebec. He pursued the goal of making Quebec a country, all while trying to reassure the English community. “The absolute respect of everyone's right in all aspects of their lives is a part of our deepest conviction,” he said at the time. In 2003, Jean Charest's Liberals defeated Landry, who became leader of the opposition. Two years later, at a PQ convention in Quebec City, Landry announced his political career was over. “I'm no longer in a position to direct this party,” he said. For Landry, a confidence vote of 76.2 per cent wasn't enough to lead the party into the next election and toward what they truly hoped for: a referendum. “It breaks my heart to tell you this, but I do it in the national interest and in the name of democracy,” he said. Some party members couldn't hold back their tears as Landry comforted them. He stepped down from Quebec politics in 2005, but never fully stepped away. While working as a professor at UQAM, Landry didn't hesitate to comment on the headlines. In an interview with CTV News in 2016, he reflected on his years in the PQ. “I spent an important part of my political career trying to work with Anglophones and Allophones,” he said. The party has made progress, he added but needs to keep working at being inclusive. “We must be in fraternity and harmony with our compatriots coming from other places, whatever the language or ethnic origin may be,” he continued. Landry spent a lifetime devoted to politics and to the idea of an independent Quebec – a cause he believed in until his death. 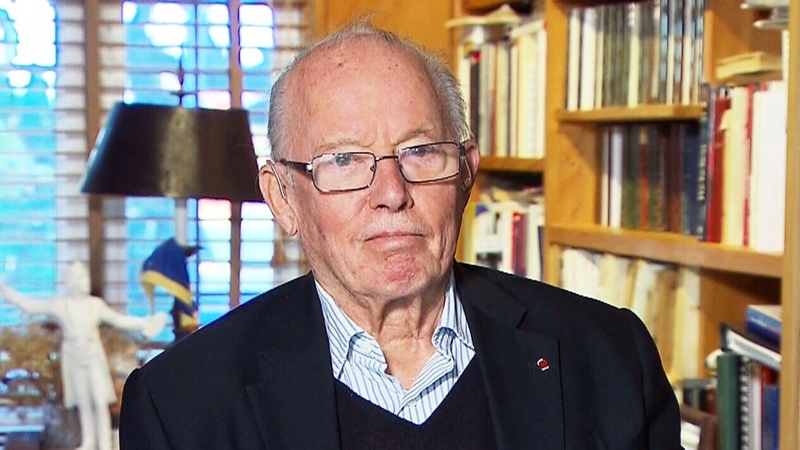 Bernard Landry is survived by his wife, Chantal Renaud. Twenty years ago today, as Canadians anxiously waited to see if the country as they knew it would cease to exist, Bernard Landry was "almost sure" his fellow separatists had won.